The Lewis and Crok exposition – Climate less sensitive to Carbon Dioxide than most models suggest | Watts Up With That? Models per AR5 Table 9.5. The bar heights show how many models in Table 9.5 exhibit each level of TCR. based on the best observational evidence. A new report published by the Global Warming Policy Foundation shows that the best observational evidence indicates our climate is considerably less sensitive to greenhouse gases than climate models are estimating. The clues for this and the relevant scientific papers are all referred to in the recently published Fifth Assessment report (AR5) of the Intergovernmental Panel on Climate Change (IPCC). However, this important conclusion was not drawn in the full IPCC report – it is only mentioned as a possibility – and is ignored in the IPCC’s Summary for Policymakers (SPM). For over thirty years climate scientists have presented a range for climate sensitivity (ECS) that has hardly changed. It was 1.5-4.5°C in 1979 and this range is still the same today in AR5. The new report suggests that the inclusion of recent evidence, reflected in AR5, justifies a lower observationally-based temperature range of 1.25–3.0°C, with a best estimate of 1.75°C, for a doubling of CO2. 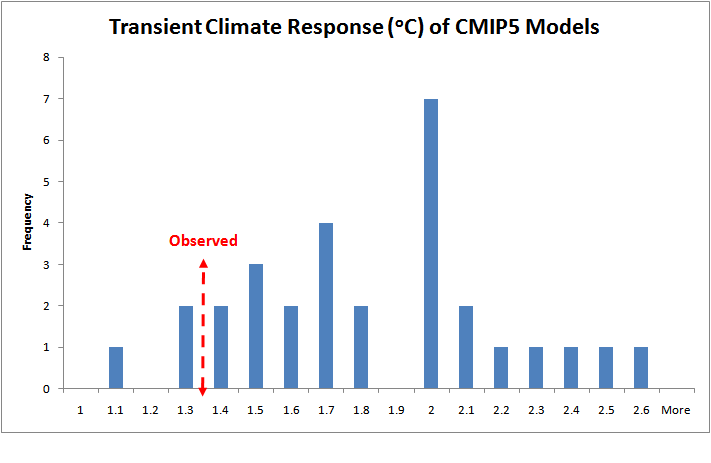 By contrast, the climate models used for projections in AR5 indicate a range of 2-4.5°C, with an average of 3.2°C. Summary of ECS values from various reports, originally by Dr. Patrick Michaels. Updated for this essay, not part of the GWPF press release. Note the Lewis-Crok values at the bottom. This is one of the key findings of the new report Oversensitive: how the IPCC hid the good news on global warming, written by independent UK climate scientist Nic Lewis and Dutch science writer Marcel Crok. Lewis and Crok were both expert reviewers of the IPCC report, and Lewis was an author of two relevant papers cited in it. The report shows that – contrary to the impression given by the Summary for Policymakers – the observational, scientific evidence in the main IPCC AR5 report actually supports much lower estimates of how sensitive the climate system is to greenhouse gas levels, both in the long term and over the remainder of this century, than those exhibited by almost all of the CMIP5 climate models used for virtually all the projections of future climate change. The report develops sound observationally-based projections of future global warming, to the last twenty years of the century, that are 40–50% lower than the IPCC’s average projections on the same emissions scenarios. I carried out the scientific analysis for the report and co-wrote it with Marcel Crok, a Dutch science writer. The foreword is written by Judith Curry. The sensitivity of our climate to increasing concentrations of carbon dioxide is at the heart of the scientific debate on anthropogenic climate change, and also the public debate on the appropriate policy response to increasing carbon dioxide in the atmosphere. Climate sensitivity and estimates of its uncertainty are key inputs into the economic models that drive cost-benefit analyses and estimates of the social cost of carbon. This report by Nic Lewis and Marcel Crok addresses this gap between the IPCC assessments and the primary scientific literature by providing an overview of the different methods for estimating climate sensitivity and a historical perspective on IPCC’s assessments of climate sensitivity. The report also provides an independent assessment of the different methods for estimating climate sensitivity and a critique of the IPCC AR4 and AR5 assessments of climate sensitivity. This report emphasizes the point that evidence for low climate sensitivity is piling up. I find this report to be a useful contribution to scientific debate on this topic, as well as an important contribution to the public dialogue and debate on the subject of climate change policy. I agreed to review this report and write this Foreword since I hold both authors of this report in high regard. I have followed with interest Nic Lewis’ emergence as an independent climate scientist and his success in publishing papers in major peer reviewed journals on the topic of climate sensitivity, and I have endeavored to support and publicize his research. I have interacted with Marcel Crok over the years and appreciate his insightful analyses, most recently as a participant in climatedialogue.org. The collaboration of these two authors in writing this report has resulted in a technically sound, well-organized and readily comprehensible report on the scientific issues surrounding climate sensitivity and the deliberations of the IPCC on this topic. This does NOT come as a surprise considering that all past IPCC models were way off because they assumed a high positive feedback. The logical conclusion is that the feedback is a lot lower than IPCC estimates. I’ll bet that the major news media is going to be very silent about this. At Dr. Curry’s blog, serial troll David Appell already remarked that he can’t take this report seriously because it wasn’t peer-reviewed. Pretty bad when your flaws show up as #1 on Google ahead of your web page. If the media mention this, they will dismiss it because it is under the auspices of Nigel Lawson’s political organization, the GWPF. But as Judy Curry says, where else can you publish these days? A sad commentary on the takeover of part of science by a Perfect Storm of econuts, landed gentry in England making money by putting up birdmincer eyesores, reinsurance companies hiking premiums for baseless fears, politicians riding the swells of current opinion, and, not least, scientists willing to trim their sails for continuation of the grants. I look forward to reading your report. I like Judy Curry’s ‘Forward’. The merits of science evaluation activities, such as yours, which are independent of IPCC processes, make for a much needed increase in overall science balance and robustness. It will become very interesting should the long term increase in CO2 level off or begin to actually drop if the oceans actually begin to cool long term, as some believe. AGW put in new light by following evidence, dogma disturbed, character assasinations to follow. How many of the papers included in the IPCC report are based on raw temperature data vs the manipulated data? As Steve Goddard has continually shown all of the ‘Adjustments’ are always positive so this would have an impact on the climate sensitivity calculations. CO2 only or all greenhouse gasses? …point to climate sensitivity per doubling of CO2 most likely being under 2°C for long-term warming, with a best estimate of only 1.3-1.4°C for warming over a seventy year period. Is this climate sensitivity per doubling consistent, from 20 to 40, 40 to 80, 80 to 160, etc. or does it at some point reach an effective “saturation point” where the doubling of CO2 provides a virtually undetectable warming? Your cute post title ‘The Lewis and Crok exposition’ purposely echoed the famed Lewis and Clarke Expedition . . . . it gave me a laugh. I wonder if these AGW folks understand that the worst possible case is that they might succeed in reducing CO2 levels to pre-industrial levels. Mass starvation. Here’s my problem with all of these papers…it doesn’t matter! The accusation in this paper need to be vigorously repudiated by the IPCC. Yeah Right! The techniques used to misrepresent the science that the IPCC is supposed to be assessing would appear to be ‘fraudulent’. It’s hard to see how any competent assessor could be seen to be otherwise? I would disregard any climate sensitivity number estimated from the paleoclimate because the actual results are literally +/- 1000C without an accurate Albedo figure. I have the numbers. Climate science cannot estimate CO2 sensitivity from the paleoclimate without making an assumption about what Albedo was. What was it at the last glacial maximum with all that extra land glacier, sea ice and cloud cover (the feedback assumption calculates that cloud cover was higher). What was it at the Holocene Optimum (when ice was at its minimum). What was it in the Miocene or the Cretaceous. What about the Carboniferous Ice Age or the Ordovician Ice Age. The early pre-Cambrian Earth. All the CO2 sensitivity estimates from the paleoclimate are based on a very key apriori assumption about Albedo that is never outlined in the study. These estimates, published in leading scientific journals, point to climate sensitivity per doubling of CO2 most likely being under 2°C for long-term warming, with a best estimate of only 1.3-1.4°C for warming over a seventy year period. The number is still too high as it still contains UHI, micro-site contamination, homogenization, etc. while still ignoring ocean cycles. However, that is alright. What it shows, and this is important, is even using their own data the estimates are way too high. This is the right place to start because otherwise the other issues over shadow this important conclusion. If we first eliminate the concept of dangerous warming then the propagandists have no place to hang their hats. Given the raw data (even adjusted) even their estimate appears to be a bit high. Shall we make a long term wager? 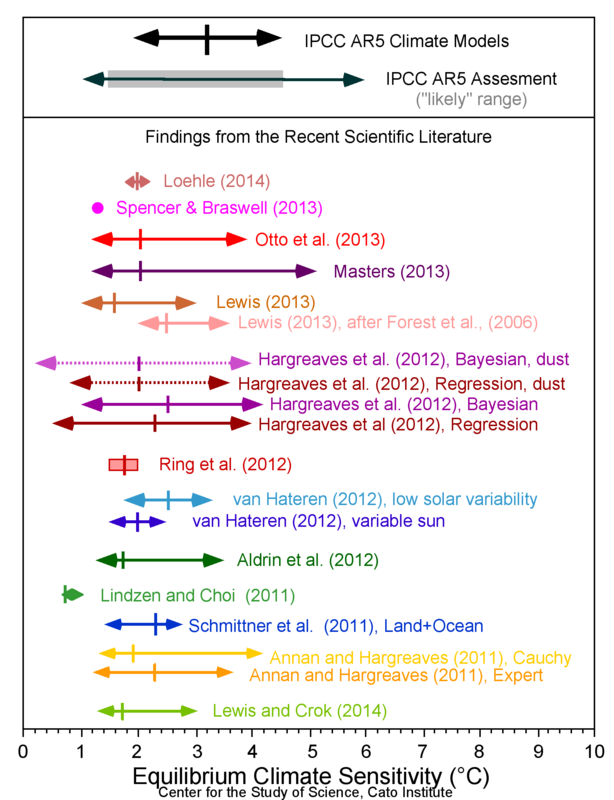 What will the locus of climate sensitivity estimates in the climate science literature be in the year 2020? Will it be 0,5 C +/- 0.5? Will it be 1.0 C +/-1? Will be 1.5 C +/-1.5? Or . . . what number and range do you think it will be? I am going with 0.5 C +/-0.5 as the locus of climate sensitivity estimates in the climate science literature in 2020. Climate not so sensitive to CO2? Duh. Yes, Eichmann (uh, Holdren) would surely rejoice. With no general physical understanding of quasi stationary non equilibrium thermodynamic systems at all, especially the irreproducible case (when microstates belonging to the same macrostate can evolve to different macrostates in a short time), current climate modelling paradigm is doomed to failure anyway. I would not trust “observational” estimates of climate sensitivity either, because all datasets were tampered with based on the same flawed computational models. Let me introduce a fat example. Figure 2.5 (at bottom of page 55) of Energy and Climate Studies in Geophysics (1977) shows “Recorded changes of annual mean temperature of the northern hemisphere”, according to the caption (between 1880 and 1975). If we compare it to HadCRUT4 Northern Hemisphere Temperatures, a current dataset, which contains the interval for which data were known in 1977, shows only one third of the cooling in 4 decades between the mid thirties and mid seventies compared to the dataset assembled by Budyko (1969) and updated after 1959 by H. Asakura of the Japan Meteorological Agency. Now, history is not supposed to change, but in climate science it does. And all this because computational climate models had insurmountable difficulties in hindcasting the mid 20th century cooling. Solution? Rewrite datasets retrospectively, make that inconvenient cooling all but disappear. Huh. Moderators – For Anthony, no need to publish. Understood. I was not my intention to start a flame war, but rather raise the “how do we get there from here” issue. I am not one who believes the current route leads where sceptics need to go. For sceptics there are two apparent paths, slightly positive ECS and slightly negative ECS. Current observational evidence supports both sceptic paths at this time. The CAGW believer path is clearly not supported by current observational evidence. The instantaneous radiative flux calculations applied to transparent substances and moving fluids have proved the dead end of the CAGW path. Observational evidence supports both sceptic paths. So the question now is which of the sceptic paths is best supported by empirical experiment? They can’t both be right. I have a hunch that many, many scientists are at this very moment seriously considering the extensive publications made by Bob Tisdale. It is my considered opinion that those involved in peer reviewed climate science in the rarefied and Ivoried towers of university supported research will eventually come to the same conclusions as this humble man first proposed. This how to answer people who say that co2 is bad. What worries me is that co2 levels are too low. Sorry mods, the spring fever is breaking out, no doubt aided by all that man-made CO2. That is a definite problem. Part of our gain in crop production is because of increased CO2. We have closed to doubled our yield per ac here in the USA over the last century. I use this as an illustration for others: Carbon starvation in glacial trees recovered from the La Brea tar pits, southern California. Based on the past 17 years, climate sensitivity is zero. Based on the past hundreds of thousands of years, there is still no hard evidence that CO2 has any influence on climate, or that CO2 changes are an effect rather than a cause of climate changes. Another Howard Camping moment for the Cult of Calamitous Climate? So far it would be just as reasonable, to assert that climate sensitivity is indistinguishable from zero. If this nonsense survives to host a 6th Assessment report and the weather cycle has taken that imaginary AGT negative, will the IPCC then claim a negative sensitivity? or will science break free of climatology? What determines how much a peer reviewer earns for an article? How are they chosen? Any empirical estimate of transient climate sensitivity (TCS) has to proceed by assuming some part of the recent warming is caused by CO2 or GHGs. It matters not what reasoning is used in the estimate. The analytical assumptions determine the outcome. That makes any empirical TCS circular and tendentious. Fun to play with but of no particular physical meaning. By the way, as David Appell’s comment wasn’t peer-reviewed David Appell cannot take it seriously. Lindzen’s seems the most likely. This CO2 sensitivity value reminds me of the Millikan oil drop experiment to quantify the electon’s charge — the original result was a bit off, and subsequent experiments incrementally changed the result until the true value was reached — but the migrating results results showed that the science was a hybrid of observation and expectation — only when the expectations reached the true value were the observational results allowed to go there. And those scientists were not funded to cling to their previous expectations, like today’s climate scientists are. It varies from discipline to discipline. Typically the editor of the journal chooses the reviewers. Some journals ask that the author name individuals considered authoritative to review the paper and also name those who, for possible reasons of conflict of interest or whatnot, should not be selected to review the paper. In those cases, the authors must explain why that person should not be selected. In my field it is considered inappropriate to hame friends or colleagues to review a paper. Doing so will likely result in chastisement by the editor. In most cases peer reviewers are not paid (at least they are not paid in my field). I dunno – when you take the longer view of temps since the last ice age, there does not seem to be much correlation to CO2 at all. Even this pro-skeptic report seems to concur that CO2 is the Earth’s temperature thermostat, just not as powerful a thermostat at the alarmists feel. Clearly the ice core graphs show CO2 is an effect to temps rather than a cause. In the shorter time frame, you have the IPCC saying mid last century is when man’s CO2 contribution to climate started to be significant, yet we have the same general rate of increase coming out of the little ice age way before man’s 1950+ contribution to the rise in C02, yet the temps are not doing anything they have not done in the past. Ultimately it will take some ‘unexplained’ cooling to break this meme that C02 is in any way a thermostat that can overcome nature’s own, as yet, not fully understood effects on climate that clearly dwarf any minor input man has made. I would say that Earth’s atmosphere is insensitive to CO2 in any presumed and measured concentration to date. In 1957,Hans Suess and Roger Revelle stated that human beings were carrying out a unique large scale geophysical experiment by increasing the amount of CO2 in the earth’s atmosphere.Scientifically, it is wrong to prejudge the outcome of a unique experiment.Beforehand ,the laws of physics don’t predetermine or mandate the climate sensitivity of greenhouse gases.Therefore, no one knows whether the climate sensitivity assumed by the IPCC will turn out to be correct.We must wait until the amount of CO2 in the atmosphere has doubled from pre-industrial levels some time later this century. What is happening is a guessing game based on past indicia. In RL “flame war” may refer to violent conflict involving the use of Fuel Air Explosives (aluminium powder/kerosene), Thermo Kinetic weapons (requiring rail gun/gas cannon launch) or more advanced non air-burst variants thereof (hydrogen strippers). On the Internet “flame war” refers to text based arguments starting with entrenched positions, escalated by misinterpretation and resulting in foul language and regrets. (Generally safer than the RL version, but still unpleasant). There’s a model that comes in at 1.1 degrees? Curious to know which one that is. In fact it would be very interesting to contact the groups with models closest to observations and ask for their comment. This Lewis and Crok estimate of climate sensitivity is still too high because as I understand it still uses an estimate of the trend in the OHC which bears little relation to the current best estimate. Look at table1. This shows that the heat flux from 0-100 m dropped 90% when the period 1983 – 2011 is compared with 2004-2011. The flux at deeper levels also declined substantially. Trenberth’s hidey hole for the “missing ” heat is in reality non existent. This shows that, as one might expect on a cooling earth, the oceans are cooling from the top down. Another problem with the Lewis and Crok analysis is that it follows the IPCC modelers simple minded and almost certainly wrong assumption that the natural trends can be projected forward on a straight line basis. This total disregard for the quasi periodic quasi repetitive periodicities in the temperature record perpetuates the gross scientific malfeasance which vitiates the entire IPCC modeling program and all the impact studies which derive from them. I just encountered the latest “Climate __________” catastrophic description today. Gone are Global Warming, Climate Change, Climate Disruption and Extreme Weather. It’s now Climate Shift. This is a useful contribution to climate science, but many of the estimate are too high because they implicitly assume a total forcing that excludes indirect solar forcings, or century+ cyclical natural changes in ocean oscillations. which finds the temperature response (TCR =1.09 C) is 61% of the climate models, and ECS = 2.0 C. Unfortunately, the paper assumes without justification that the warming trend from 1950, after removing the affects of the PDO and AMO, is entirely due to greenhouse gas emissions. If this were true, there could not have been the Roman Warm period, the Dark Age Cold period, the Medieval Warm period. However, Craig writes in comments “I argue that the true equilibrium (or at least what we will see by 2100) is probably lower than my calculated value.”, but this disclaimer is not found in the abstract. These large changes in climate over the Holocene were not caused by PDO, AMO or SUVs, but correlate to solar changes. The solar magnetic flux increase throughout the 20th century, and likely had a significant affect on climate. Therefore, the warming trend net of PDO, AMO, should not be assumed to be all due to GHG emissions. “The climate sensitivity” is a logically and scientifically illegitimate concept for there is no empirical support for the contension that either the equilibrium climate sensitivity or the transient climate sensitivity is a constant. No, the sceptics are just trying to falsify the CAGW-theory, doesn’t matter which of your two or any other way. In my personal opinion, CAGW is FALSIFIED already, maybe the climatologists don’t realize the fail right now. So there has to be a follow-up-theory, that’s the scientific way. This new theory will be closely inspected by us, the sceptics. If there is no new theory there would be lots of unemployed climatologists, activists and politics looking for new jobs. I personally think, climate sensitivity is a non-linear function and has no informative value, just history management. If global temperatures go down from now on, there will be a further lowered climate sensitivity, else it goes up again. 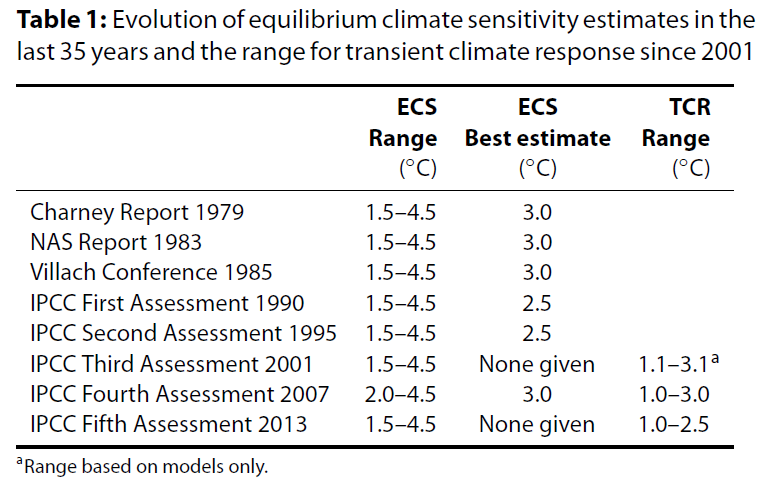 One thing I think being overlooked in evaluation of this ‘climate sensitivity’ is incorrect use of OLS regression. One common way to measure it and AFAIK this is the main way that it is assessed for the various models, it to plot dRad vs dTemp and work out the slope by linear regression. By convention it seems that dRad gets to be y axis. Now this is NOT a legitimate use of OLS, which assumes and requires a “controlled variable” (ie negligible error/uncertainty) on the x-axis. The very few people who are aware of this basic restriction seem to sweep it under that carpet as some kind of purist’s, pedantic knit-pick that doesn’t really “matter”. Well, guys, it does “matter”. What happens if this is not respected is called “regression dilution”. If you have significant error in the x variable the slope will (usually) come out less that the true slope. How much less depends upon the ratio of the respective x and y errors. The difference can be huge, easily a factor of two on noisy data – like climate for example. So if we do a dRad vs dTemp plot the fitted slope will be notably less than “best unbiased estimation” of the slope we believe it to be. A quick check is to plot the data as dTemp vs dRad and do the OLS that way around. If the result is consistent one slope will be the reciprocal of the other. When you do it on low noise data they are close when you do it on noisy data there is a huge disparity. Since climate sensitivity is the inverse of this slope we get a spuriously high CS. This is something I have been intending to write up in detail with example data to demonstrate it. Perhaps now would be a good time. How can one say this? Temperature and ocean heat can indeed be measured (sort of) but that does not mean that they have anything to do with increased CO2 hence the link with climate sensitivity is equally unknown. Climate “science” peer review = your mates give nodding approval no matter how bad the paper is. there is no “contension [sic]” that it is a constant. In fact there is literature supporting the notion that it is not constant. However, for the purposes of making an estimate of how the system may respond it is assumed to be constant over the period of interest.. the next hundred years. you could assume otherwise and do the same calculations. However youd have to defend your choice of which form of inconstancy you selected. FGOALS. is closest to “observations” well to surface temps. Well this article is well-timed, because just this morning I completed a calculation on the ratio ECS/TCR. And you wouldn’t believe how low (i.e close to 1) that value is. This ratio is supposedly driven by the fact that the sea temperatures lag behind the land temperatures, so if CO2 stopped rising and land temperatures stopped rising then the seas would continue to warm for a while. But an analysis of the observed correlations suggests that the effect is rather small. Its not about the evidence. Deindustrialisation is ‘the right thing to do’ and the world would be much better in an anarchist eco utopia. Not sure where that leaves their ‘council of elders’ plan to run everything. We should be looking at TCR = 1.35 C based on observation, not the ECS. In succeeding Assessment Reports, this fact is not mentioned anymore. Ken, you are so correct. What exactly is the “observed” in that graph at the top of the thread?. Does it include all the manual “adjustments”? 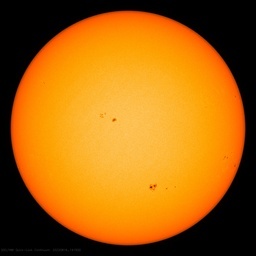 Does it take account of some of the strongest solar cycles the planet has seen for a long time? Does it take into account UHI effects? Does it take into account other natural warming effects? Even in the adjusted Hadley temp set, the 30 year period from 1977-2007 had almost exactly the same warming rate as from 1915-1945, yet CO2 and solar input increased significantly. Maybe the CO2 was actually counteracting the effect of the strong solar cycles. Steven, what does FGOALS do that’s different from the other 97% of incurably wrong models? Does it use raw past temperature data, and set the CO2 sensitivity to basically zero ? Visible huge area of ​​operation of the stratospheric polar vortex. A height of 30 km. I find it hard to believe how much time and effort is spent on the utterly pointless exercise of trying to predict the future. We have Putin re-writing the Continental European Map, a completely insane tyrant in charge of nuclear bombs in Korea; A Jihadhist in charge of Iran, determined to remove every Christian from the planet; a psychopath in Syria bombing and gassing his own people and 845,000 people starving in Africa and Asia yet we have billions spent on a fruitless pursuit of an unknowable future that we can do nothing about. So what if so-called climate sensitivity to the demon plant food is minus 10 to plus 10, nothing can or will be done about it. We should get over it and move on. Falsifying CAGW is of no ultimate benefit. For democracy, science and reason to progress, the very idea that adding radiative gases to our atmosphere will reduce the atmospheres radiative cooling ability must be destroyed. Step up to the plate “Strike”. Show the readers of WUWT why your claim that just killing CAGW is “A-Ok” for science, reason and democracy. Just why it it is that the very idea of additional radiative gases reducing the atmospheres radiative cooling ability is acceptable. Go on. Give it your best shot. You know who most sceptics are? Engineers. Engineers don’t take s__t from squealing socialists. Public faces, punched to custard. Those are the rules. No exceptions. for perhaps a less anthropogenic perspective on CO2 ‘contamination’. Which immediately leads to a rather uncomfortable possibility that if CO2 is not as capable a climate security blanket as we are supposed to believe (sensitivity) then what else could we deploy in the late-Holocene atmosphere to stave-off the now due glacial inception? “Several features of the last interglacial/glacial transition resemble the recent temperature and precipitation trends. I) Preferential warming of the low latitudes. 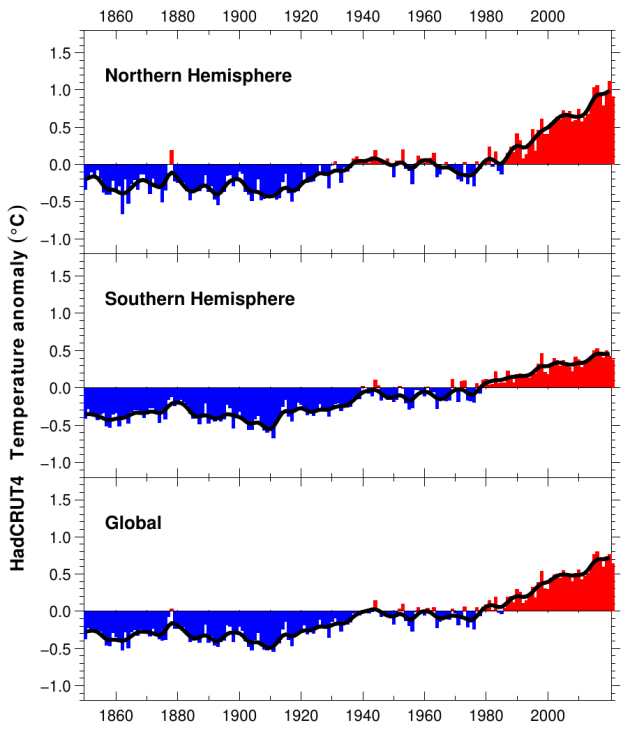 2) Increasing meridional temperature gradient. 3) Increasing precipitation in cold season in the high northern latitudes (which supposedly also accompanied the ice build-up in MIS 5d). I would very much appreciate informed feedback on any of Kukla’s points above. One may also think of this as a possible delay of the glacial inception mandate. Meaning if you like your current climateplan you might or might not be able to keep it. Period. This is especially true when you realise the CO2 records are as fabricated ‘adjusted’ as the modern temperature records. Nasty argument usually with high emotions and name calling. NOT a ‘learned discussion/argument’ which is what A. W. prefers. At least that one is closer to the truth. Just remind people that NOAA say they haven’t got a clue as to what causes ‘Abrupt Climate Change’…. OH MY!!! Just think oddles and oddles of grant funds if the CAGW Climastrologists can morph CAGW into an ‘Abrupt Climate Change’ scare. I think you just found the loop hole the CAGW scammers are about to climb out of. Bond Events are the Holocene manifestation of D-O events. A Pervasive 1470-Year Climate Cycle in North Atlantic Glacials and Interglacials: A Product of Internal or External Forcing? ….The origin of the 1470-year cycle is far from clear. Its persistence across glacial- interglacial boundaries is evidence that it cannot have been produced by any internal process involving ice-sheet instabilities. On the other hand, the cycle pacing is close to the overturning time of the ocean, raising the possibility that it arises from an internal oscillation within the ocean’s circulation. External processes, such as solar forcing and harmonics of the orbital periodicities cannot be ruled out, but are, at least presently, difficult to test. Darn! I forgot the / in the frist block quote close in the comment stuck in moderation. And do not forget China saber rattling in the South China sea and the BRICS countries thumbing their collective nose at the IMF while they amass gold. (Sigh) It’s just not working anymore. The decision makers are still not listening. As pointed out before, despite the commendable research, this is yet another example of a previously tried statistical and scientific approach to convince decision makers that man-made CO2 is not driving climate, and sadly, is wide of the mark. Again, we see an archetypal technical dossier similar to all the other futile attempts used repeatedly during the last decade. Clearly these methods fall on deaf ears and the CAGW believers continually brush reports such as this aside. It’s time to change tactics to persuade politicians that Carbon Di-Oxide has not dominated the warming of our Earth during the last century. My apologies to all the regular folk on WUWT for repeating what I’ve said before – but to newcomers, the following facts provide far more accessible ammunition to fight our corner on anthropogenic CO2. A simple, concise report needs to be published emphasising . . . . Fact 1: Excluding CO2 for now, all the other atmospheric gas accounts for 99.96% of the sky. Fact 2: CO2 represents only 0.040% (400 ppm) of the atmosphere (concentrated in the lower half of the sky – due to CO2 being denser than predominant Nitrogen, Oxygen and Argon. Fact 3: Of the minute amount of CO2 up in the sky, 96.775% of it is Naturally Occurring i.e. produced from Photosynthesis, Respiration, Volcanoes & Geysers, Natural Wildfires, Marine Life, Micro-organisms, Plant Decay, Cellular Respiration, Flatulence, Decomposition, Calcification and Natural Fermentation. Fact 4: This leaves just 3.225% of the total minute amount of CO2 up in the atmosphere being Man-made (anthropogenic) i.e. burning of Oil, Oil Derivatives, Petrol, Kerosene, Paraffin, Diesel, Coal, Natural Gas, Peat, Timber, Crops and Wood & Plant Alcohols. The World’s entire Bread Production (‘Air bubbles’ from yeast are pockets of pure man-made CO2). Modified Air Packaging (MAP) CO2 is injected into most food packaging to extend food life & prevent it oxidising. (including for cars, homes, shops, offices & aircraft). Propellants: Canisters of highly pressurised man-made manufactured CO2 @ 150 psi are used in . . . .
And lastly (pun intended) . . . .
With CO2 representing only 0.040% (400 ppm) of the total atmosphere – and that only 3.225% of the total CO2 is Man-made, then . . . .
1. How much man-made CO2 contribution to ‘warming’ could have been produced during the Roman or Medieval warming periods when it was warmer than it is now? Other than burning a few witches, log and peat fires, making a few cakes, a couple of loaves of bread and wine and beer making – not a lot. 2. If CO2 is such a significant contributor to adverse climatic changes, then why are ‘carbon taxes’ not also imposed on the sale of Lemonade, Fire Extinguishers, Refrigerants, Bread and Cremation? After-all, it should be a level playing field. There is no such thing as man-made CO2 induced warming or CO2 induced climate change. CO2 does not cause extreme weather events. Demonising CO2 is just a smokescreen to protect the vested interest in renewable energy projects. It is a scam. This is effectively a CO2 alone effect suggesting that hypothetical net positive feedbacks are in fact imaginary. The work I did with Clive Best on changing UK cloud cover came of with 1.3˚C for TCR. Without feedbacks, TCR = ECS (I think). It’s time to change tactics to persuade politicians that Carbon Di-Oxide has not dominated the warming of our Earth during the last century. My apologies to all the regular folk on WUWT for repeating what I’ve said before – but to newcomers, we need facts that provide far more accessible ammunition to fight our corner on anthropogenic CO2. A simple, concise report needs to be published emphasising . . . .
How little CO2 is up there compared to all other atmospheric gas. How much of it is naturally occuring and what is naturally occuring. How much of it is man-made. A compehensive and fascinating list of ALL the ways we make CO2 – proving that if people want to demonise CO2, then they’re only at the foothills if they think it’s just burning fossil fuels. As regular readers know, I have all the answers to the above, but with AW’s permission, if anyone new to WUWT needs them, then I’ll happily post them on this thread. Let me know. Meanwhile, solar activity drops significantly. You see, as a decline of solar protons is parallel to the increase in the GCR. I wonder what the numbers would be if raw unadjusted temperatures and/or only class 1 and 2 station data were used (though I realize globally, it may not be easy to identify class 1/2 stations). Ivor wins the thread, but honorable mention goes out to all of the doubters of the silly climate sensitivity to co2 crap. Yes and this will be another good opportunity to observe if cloud formation increases per Svensmark, or if any effect can be differentiated from noise. REN You’ve got it backwards. The chart shows a decrease in the neutron count which means an increase in solar activity. We are now approaching the peak in solar activity for Cycle 24. See also the recent spike in the sunspot count. “models suggest” Something misleading about that phrase, though not inaccurate. Do models ever suggest? Don’t they merely project the modeler’s suggestions – no verification value added? ….there is no “contension [sic]” that it is a constant…. What? Mosh is chipping someone else on spelling/typos?!! With his finger, this man has touched the heart of the matter. Why this is not obvious to all mystifies me. These climate sensitivity studies are mere pretense: angels dancing on the heads of pins. Just back from the press conference in The Hague, Netherlands, where the Lewis & Crok exposition was presented. I have no idea how many of the press were present and what will be reported. Marcel Crok was to the point, in clear language for the press and Nick Lewis was quite technical, more aimed for the in-depth people… All together a very nice presentation organised by the GWPF and the Dutch “Groene Rekenkamer” (literally “green audit” – see: http://www.groenerekenkamer.nl/ only in Dutch). The main take away message is that even when using the mainstream data, with all their shortcomings, the sensitivity is down to near the low end of the IPCC range (which was last minute reduced in their last report). 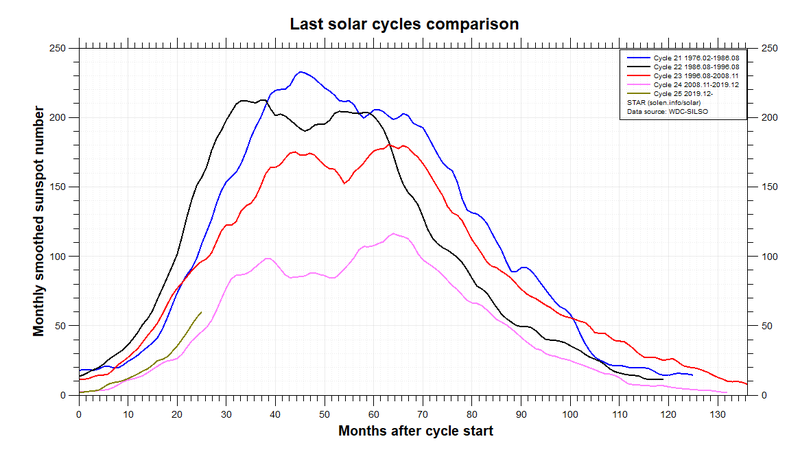 If you compare the solar cycles, it is seen that already the previous 23 was weaker than the previous ones. Is it a coincidence that the temperature is not rising? Should we take the IPCC seriously. I only ask because they also use non-peer reviewed literature (gray literature) to arrive at some of their assessments. >What will the locus of climate sensitivity estimates in the climate science literature be in the year 2020? Will it be 0,5 C +/- 0.5? Will it be 1.0 C +/-1? Will be 1.5 C +/-1.5? Or . . . what number and range do you think it will be? >I am going with 0.5 C +/-0.5 as the locus of climate sensitivity estimates in the climate science literature in 2020. Because someone tried to make an issue of whether the number would be positive or negative, as if not knowing indicates some level of ignorance, I will point out that the transient response to CO2 is not the only ‘response’ taking place. The response to a change in CO2 concentration is only one of many changes that happen simultaneously, the most important two being water vapour and cloud cover. Consider what would happen if CO2 rose to 1% from its present 0.04%. Five doublings from 0.04% might, I say might, increase the temperature by 4 or 5 degrees if the sensitivity is 1 degree. But the power of self-corrections is very strong and the only net effect might be an increase in tropicality towards the poles. Nothing more in terms of “higher temperatures”. Climate history supports this prognostication more than ‘8 degrees per doubling’. Those of us familiar with the techniques of meta-analysis can readily see what a funnel plot of the various published climate sensitivity results would look like. It would show convergence towards a low sensitivity, and it would show evidence of publication bias for high sensitivity. Why bother with models? It is quite certain that sensitivity is overestimated. It is actually zero because doubling carbon dioxide does not warm the world since we are living under a hiatus-pause of warming and have been for the last 17 years. The real question that those who wish to question it is how come that this pause started only 17 years ago. First, 17 years is already two thirds of the time that IPCC has existed but still refuses to acknowledge observed facts. You could also point out that there was earlier warming which they still claim was greenhouse warming. But laws of nature don’t work like that. If a theory is wrong now it did not suddenly become wrong, it was always wrong. Ockham’s razor tells us that those earlier warmings during the first third of IPCC existence are simply misinterpretations of natural warming by over-eager “climate” scientists, indoctrinated by Hansen to believe in the imaginary enhanced greenhouse effect that does not exist. If the Sun will cause further cooling, the CO2 will start to disappear in the cool oceans, as it happens during the winters in cold waters of. This shows that confuses the cause with the effect. CO2 does not affect the global temperature of of at most on the ocean acidification. It is a heated exchange laden with insults on the Internet. As an early user of “news” on the pre-browser Internet, I first saw the term in 1985(ish) when someone would post an unsubstantiated and factually wrong claim and, when called on it, would double down. They’d then get “flamed” and – if stupid enough to flame back – a flame war would ensue and many a bystander would assemble. Internet was mostly polite and pure back then, so flame wars really stood out. > Sorry mods, the spring fever is breaking out, no doubt aided by all that man-made CO2. Gail, come home to new Hampshire – no spring fever here. I have 17.5″ snow pack, this morning was below zero, and the maple sap still is nowhere to be seen. > What’s a flame war? I preserved one small one from (now) ages ago. Frozen Flame. Normally I don’t get involved, but this fellow had been annoying for far too long. I xxxx all the foul language since the page is really an excuse for showing some family photos. Why the heck do you think I left! Actually I have a friend in N.H. looking for a place down here and we gave her the listing across the street (36 ac). Another friend from East Rochester NY is also looking for a place down here. With everyone moving from the north to the south, why in heck does anyone think a couple degrees warmer is a problem??? Interesting to not the cluster of models that generate 2 degrees, and the absence of 1.9 degree ones. Evidence that some of the models are tuned to a desired output? 2 degrees is a suspiciously round number. I don’t know exactly what these “CMIP5” models are, but they appear to be a ‘front’. They are being presented in technical discussions as the scientific consensus and are relatively moderate (even then they exceed observations). Meanwhile, quite different models are used on the political front. An example would be the CSIRO model cited by Australian Prime Minister Julia Gillard in 2012, as justification of a carbon tax. This model predicts (up to) 5 degrees C warming by 2070 (there is an uncertainty range, but 5 degrees was the only figure mentioned by Gillard and the many media reports). These are the models that are having the greatest impact on policy: why aren’t they being shown in these comparison figures and charts?